Every day, AM and PM, Cleanse with Lumi' net Gel or Lumi' net Lait, and Tone with Lumi' net Tonic. Daily, AM and PM, apply skincare product on cleansed face according to your skin type and desired treatment. 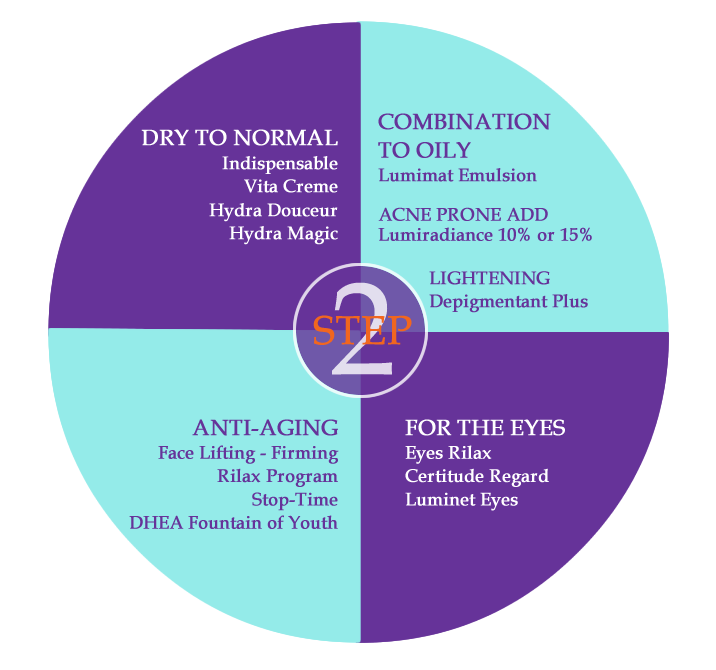 See the chart below to find products that are formulated for you. 1 to 2 times a week, Exfoliate with Gommage Revel Eclat or Lumi' Scrub 10, together with a mask of your choice; Masque Essentiel, Lumi' mat Masque, Masque Rilax or Masque Secret Lift.